Under our ideas, the UFO phenomenon would be totally neutral towards us, both in intentionality and in the alleged information transferred to witnesses.If we are in the presence of a psychological phenomenon, although of unknown origin, incited by an unidentified external agent that "connects" with our psyche, it is very likely that all the information (visual and verbal) received in UFO encounters has a human origin.We are confronted with a phenomenon of "feedback", where all unconscious contents (used for the elaboration of an extraterrestrial false landing), are presented in a distorted projection, so that they do not appear to be of mental origin. Therefore, the messages obtained from the alleged aliens, scientific, religious, social, philosophical, are only the product and result of a psychological mechanism of an external agent, which "edits" and "projects" them as if they were the result of extrahuman communication.Interestingly, these approaches can be adapted to all the supposed communications obtained from the "beyond" for centuries, which have never really contributed anything new to human ideology. All the actions undertaken by the occupants of UFOs possess this same psychic origin. The behaviour of "extraterrestrials" in their landing on land, is defined by the unconscious of witnesses, which determines that these occupants are: friendly, violent, communicative, evasive, etc.. 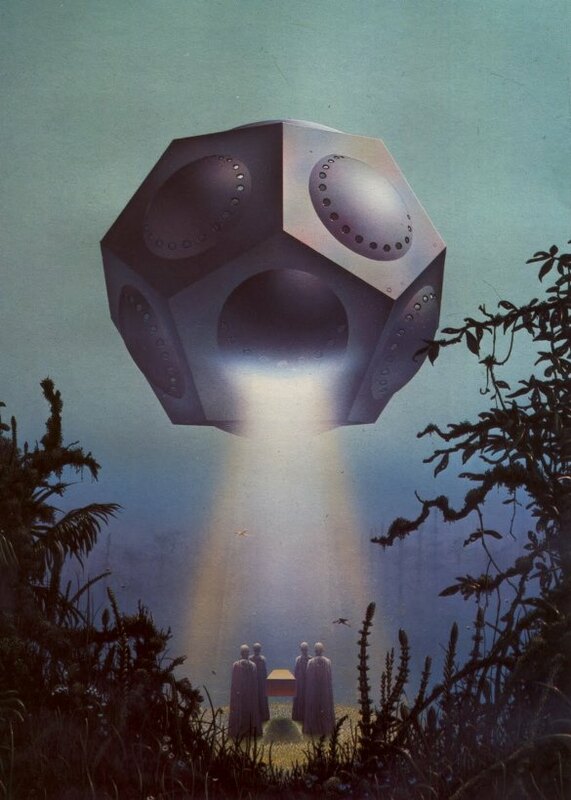 This whole process is the product of a phenomenon similar to the one that originates in dreams, where the image and the archetype prevails over any other aspect.Therefore, we can conclude that the UFO phenomenon is essentially neutral, does not interfere in human activities, nor does it seek any other great hidden purpose. Everything depends exclusively on the "intellectual" capacity of witnesses, who in the last instance are the only ones responsible for the transcendence that their contact may have.